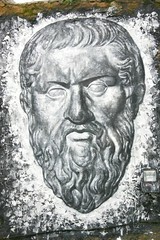 It’s all in Plato, all in Plato: bless me, what do they teach them at those schools! A lot of the Christians I know love this quote, spoken by Digory Kirke in Lewis’s Chronicles of Narnia. I can see why – it’s often used to illustrate a claim that Christian theology wasn’t invented from scratch in the 1st Century, but can be seen as a logical progression from some well-worn Platonic ideas developed centuries earlier. It’s been a while since I last posted. I’ve had a lot going on in real life, which will probably make for interesting blog material before long, but for the time being, I really ought to deal with the poll I set up some time ago. I’m currently away on holiday for a while, so if you can bear with me, I’d like to try out a little experiment. A while back, I read a very interesting book called “Do You Think What You Think You Think?” which takes the reader through a number of questions and scenarios to discover whether your moral and philosophical beliefs are consistent and coherent. As it happens, mine pretty much are, barring a couple of minor points.